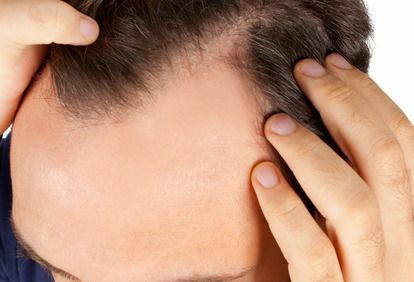 The hair loss doctors at True & Dorin have been practicing the art of hair transplants for years, and have successfully helped thousands of patients achieve fuller heads of hair. Drs. 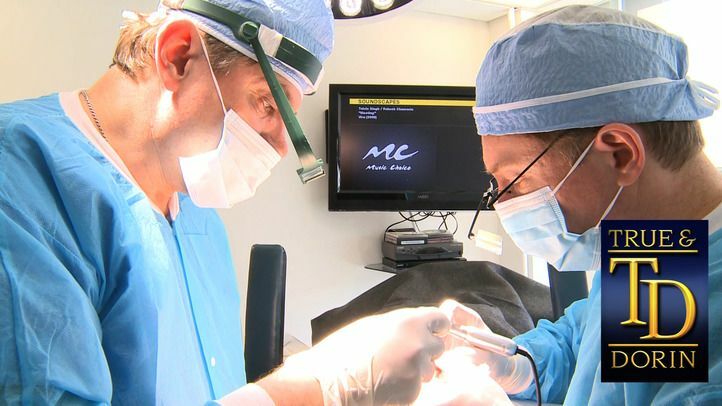 Robert True and Robert Dorin can lend their expertise to follicular unit transplantation candidates in the New York area by providing a comprehensive evaluation, treatment recommendations, and state-of-the-art therapies. To learn how their skill can enhance your hairline, schedule a consultation with our office today. In follicular unit transplantation (FUT), a small strip of scalp is excised from the donor site (usually on the back of the head), and the incision is closed with sutures. Our highly skilled doctors take care to ensure that this incision will result in absolute minimal scaring. We also employ a closure technique called Trichophytic Donor Closure that enables the hair to grow directly through the scar, making it even less detectable. After the strip is extracted, follicular units will be harvested, which consist of 1-4 hairs. The follicle units will then be carefully prepared for implementation in a saline-based solution, or a plasma-rich solution that improves hair health and survival rates. The hairs will then be carefully implanted at the treatment site. With our doctors’ expert surgical hand and artistic eye, you can be assured that their work will result in a soft, natural-looking hairline. We also take great care to minimize any discomfort. FUT patients may experience little pain at the donor site the day or two after surgery, which is easily managed with over-the-counter medication. FUT offers a number of advantages over the popular method of follicle unit harvesting, follicular unit extraction (FUE). Firstly, a greater number of follicle units can be extracted with the strip harvesting method. An FUT surgery allows for up to 4,000 follicle units to be transplanted in a single session, compared to 2,000 follicle units during an FUE. In addition, FUT has a slightly higher follicle survival rate, meaning there may be more viable hairs available for transplantation. For these reasons, patients with extensive balding or thinning will typically choose FUT. FUT is also the preferred treatment for patients who want minimal disruption to their daily lives. Patients who are unable to commit to multiple surgical sessions and associated post-operative care often choose FUT since it can be performed in a single session. In addition, FUT does not require patients to shave their donor site, as is required in FUE, making it a more inconspicuous option. Finally, patients may choose FUT for its affordability. Because FUT allows for more follicle units to be transplanted at once, it is less time and labor intensive, and therefore can be lower in price. Millions of patients have changed their lives with fuller hairline from an FUT procedure. Find out how this treatment can benefit you. Contact our office to make an appointment with one of our hair restoration experts.